Another year passes so very fast, and with it the Goodwood Festival of Speed has come and gone. This wonderful event is a must attend classic car show, if you can even call it a classic car show. Whether you’re into you classic cars, current motorsport or classic motorsport, off road action, rallying, F1, supercars, hypercars or normal everyday cars, there is something there for you. This years event celebrated 70 years of Porsche, with another wonderful piece of art from Gerry Judah (below). 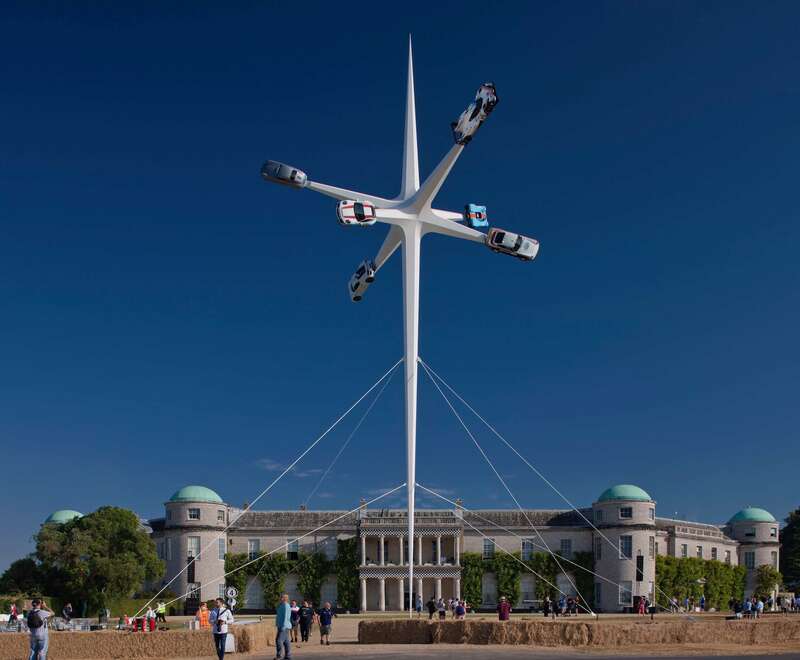 See How the Porsche central feature was built for the 2018 Goodwood Festival of Speed here. I’ve said this many times now, but to get all of the experience in, you really do have to attend over a few days. We always get the lower half of the event done (supercars, show rooms, stalls, Concours D’Elegance, GAS, etc. ), but never make time to get up to the rally stage and off road area, which is a shame. A few facts on this car. 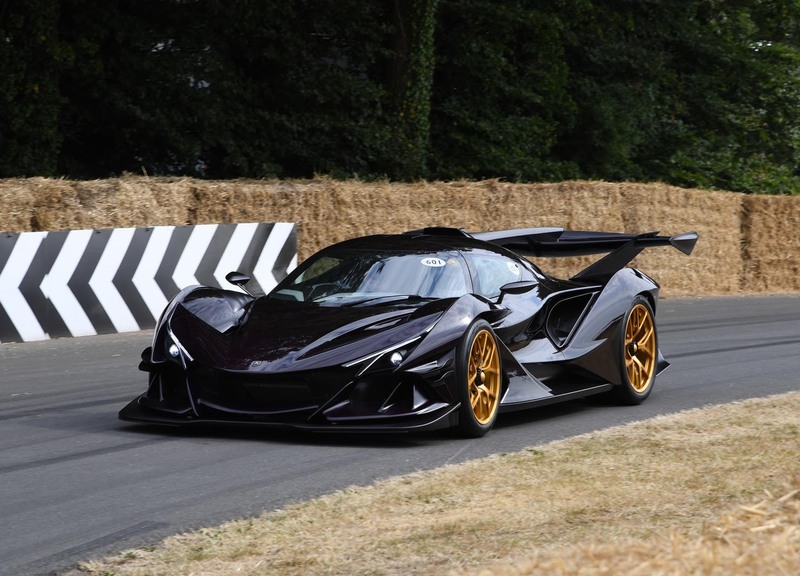 It’s 769bhp, it’ll cost circa 2.3M Euros, they plan to build 10 Intensa Emozione coupes at €2.3m a pop, each car takes around four months to complete, and is said to weigh 1,250kg, and develop 1,350kg of ‘net’ downforce. Oh, and it look bonkers. 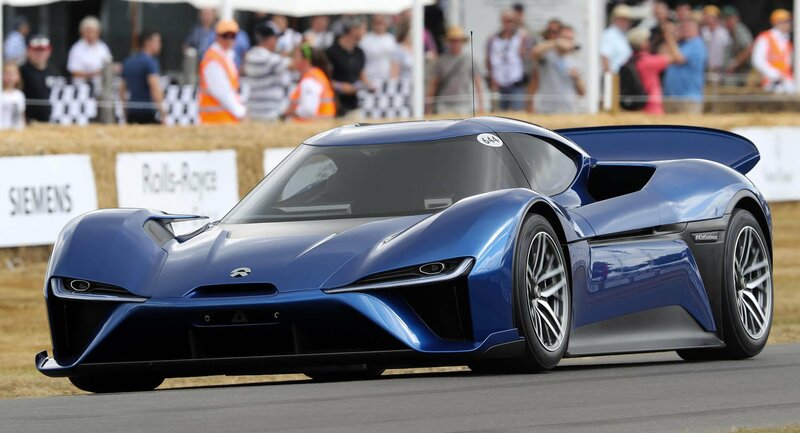 Apparently “the world’s fastest electric car”, made its UK dynamic. The 1,360hp supercar, which did a 6 minutes 45.9 seconds at the Nürburgring Nordschleife in 2017. Bonkers. 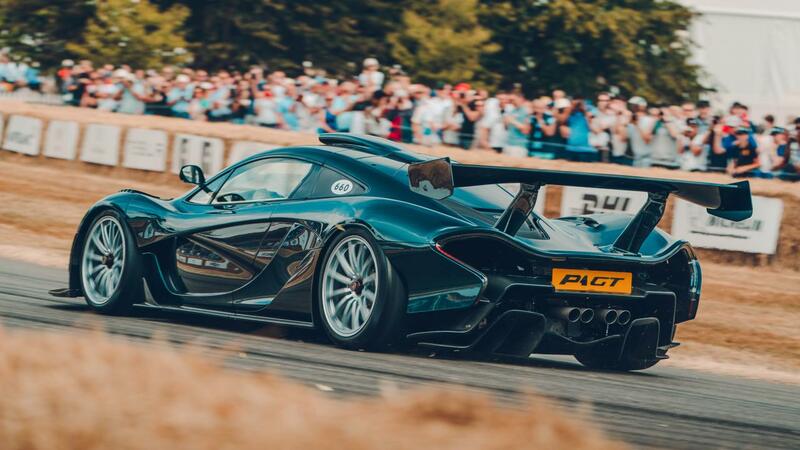 This McLaren P1 GT isn’t an official project from McLaren, instead, this custom hybrid hypercar is the work of the engineering firm Lanzante, which also used to race McLaren F1s in the 1990s. With no need to touch the 900bhp+ hybrid powertrain, Lanzante has instead focused on increasing downforce — with the huge rear wing being the centrepiece of a comprehensive new aero package. 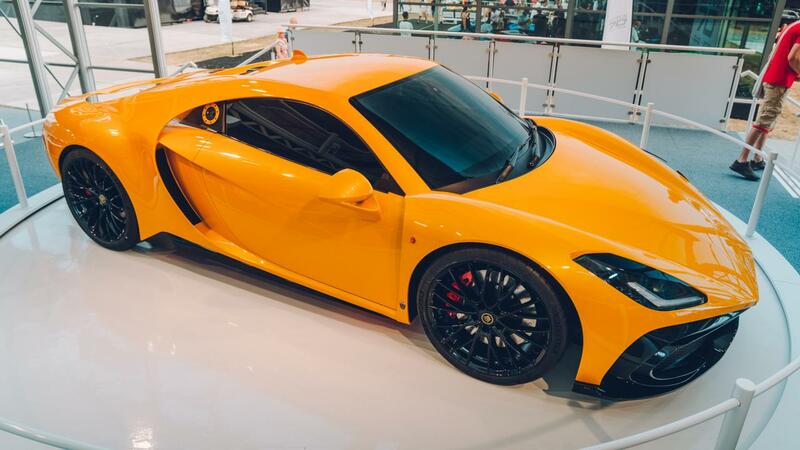 A welcome surprise at the Festival of Speed this year was the unveiling of a new supercar from Noble. Though it’ll sit below the £200,000 Noble M600 when it eventually goes on sale, the Noble M500 will still have plenty of performance, courtesy of a 550bhp V6 engine that’s not too loosely removed from the Ford GT’s turbocharged motor. And of course on the Sunday, when we attended we had the Timed Shootout, in which the Volkswagen ID R went fastest (below). A short postcard, but suffice to say we really had a good time (as always), and we cannot wait for next year. See you there.